New bird feeder installed: CHECK! 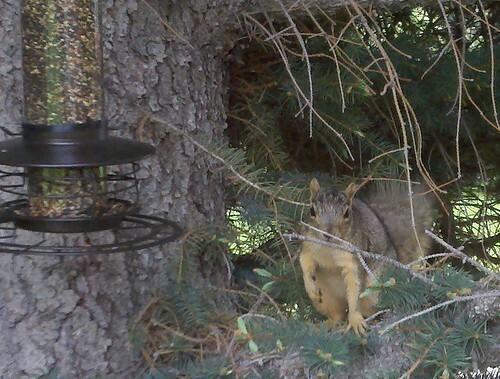 The model name of new bird feeder: “Squirrel Defender!” (seriously). But squirrels don’t know how to read.